← Is There an Ideal Sensor Location? How Does the Traffic Message Channel Work? We’ve talked in the past about the need to update the work zone information on digital maps in real time. But how does that process actually work? The answer is surprisingly simple while offering far more detail than you might expect. It is sent over FM radio and satellite channels using RDS-TMC protocols. RDS stands for “radio data system”. TMC stands for “traffic message channel”. The information is sent in very small packages several times a second within a frequency used for digital identification of the station, song titles, etc. In this way, location codes and event codes are sent without interrupting the audio and updates any navigation devices in very near real time. That information can then be used in calculating the fastest route. It will also recalculate as incidents occur that cause significant delays. In the United States the digitally coded traffic updates are distributed by Navteq over FM channels and by Sirius/XM satellite radio. 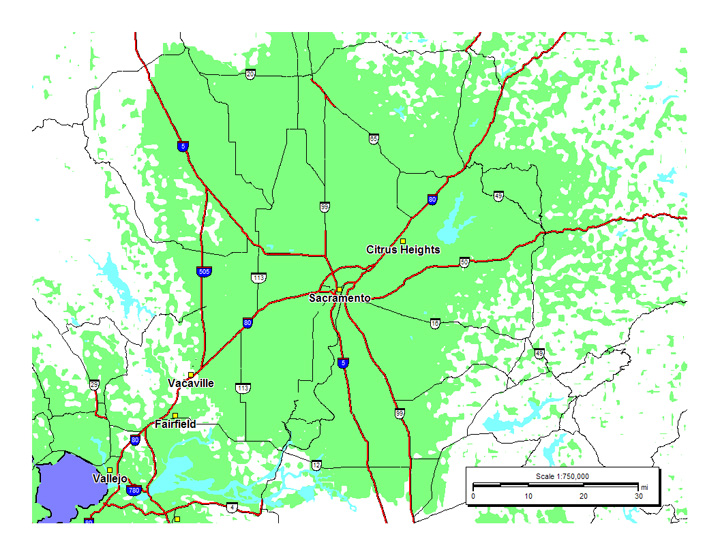 iHeartMedia and TeleAtlas also provide commercial services in about 77 US metro areas. Once received, the codes are automatically displayed in the driver’s preferred language making them more readily understandable and therefore more effective. Each incident is digitally coded and sent as a TMC message. Each message consists of an event code, location code, expected incident duration, and other pertinent details. The message includes one or more phrases describing the problem. The first portion states the problem and the second portion gives clarification regarding the types of vehicles affected, recommended actions by the motorist, etc. As you might expect, there are many work zone related messages. In fact, there are more than 150 work zone specific messages as well as many hundreds of messages just focused on queue length, travel delays, and lane closures. The work zone messages get fairly specific: mentioning pavement marking, resurfacing, bridge work, water main work, etc. They even mention temporary signals in one. There are also many messages about incidents, weather, and special events. The RDS-TMC system was developed before wide-spread use of GPS. So, they do not use a lat and long to identify the location. Instead location is described in relation to major intersections and points of interest. As work zone reporting becomes more sophisticated, codes can still be added to provide additional detail such as the lanes that are closed, the length of the closure, expected delays, and more. Only a little more than half of the code capacity has been used so far. So there is plenty of room to grow. And that is important. Because autonomous vehicles will require far more detail. Discussions are already underway regarding what new details must be included and the formatting, etc. for them. Thank you for another informative post, Joe. Your point about location is important, and if I understand it correctly, can be a limiting factor in the use of RDS-TMC. That is, without a lat-long, highly granular information such as the exact start and stop of a work zone, which lanes are closed and for how long (with respect to length) can’t be conveyed. Am I understanding that correctly? If not, I’m happy to be corrected.